Being unreasonable. It’s a concept that is starting to really catch on. It is becoming increasingly obvious with each passing day that we need the future leaders of tomorrow to start stepping up today in order to solve global problems, and that’s why organizations like the Unreasonable Institute exist. Last year we wrote a blog, Social Entrepreneurship – Boulden Up and Be Unreasonable, that we hoped might spark one or two people out there to apply for Season II at the Be Unreasonable Institute in Boulder, Colorado. 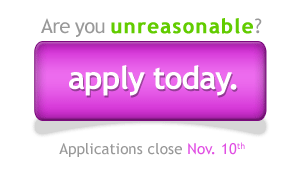 As it turns out, it did – and now it’s that magical time of year again to apply to become a fellow at the Unreasonable Institute for Season III. If you need any convincing as to why this is your time to apply, read on. As a member of this beautiful planet we call Earth, you have probably started to notice a few problems that are affecting society on a large scale; whether it is social, economic, environmental or otherwise, the problems I’m talking about are the ones that cannot be solved by one person over the course of a month, year or even a few years – these are the types of problems that take a collective effort by a committed group of individuals over a long period of time to resolve. These are the type of problems that social entrepreneurs wakeup to try and rectify each and everyday. Our definition of a social entrepreneur is someone who uses their raw entrepreneurial abilities to tackle a economic, social or environmental problem that affects a significant segment of society. 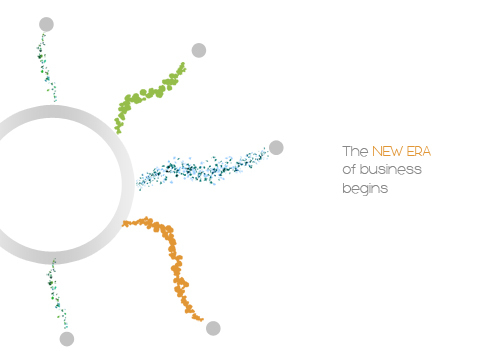 Rather than the payment being monetary, social entrepreneurs work for one thing – change. If you’ve ever tried to affect change on any level, you will know that in most scenarios nothing could be more challenging. In the eyes of society, you would almost have to be unreasonable to even think that you could successfully tackle one of these issues. And that’s why social entrepreneurs are a unique group who have the passion, vision and skill set to drive in social change on a massive scale. And that’s where the Unreasonable Institute comes in. What is the Unreasonable Institute? 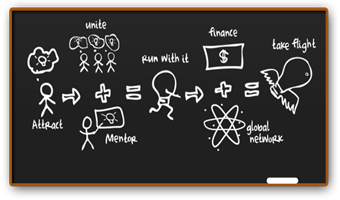 The Unreasonable Institute is a hub for kickstarting ambitious, large-scale social ventures. Each year, twenty-five of the world’s most audacious social entrepreneurs are invited to Boulder for a six-week acceleration program. Fundamentally, the Unreasonable Institute is about giving social entrepreneurs their wings. Solidarium (see video presentation) – started by Tiago Dalvi (@dalvitiago), Solidarium aims to reduce poverty in Brazil (ranked 184 out of 192 for social equality) by empowering local producers and connecting them to the marketplace. By working with Solidarium, local producers can create sales channels through large-scale global retailers and increase their sales dramatically. The company just reached the mark of more than 100,000 products sold and recently became profitable. I love Brazil and I think Solidarium has found a great social business model that can make a huge impact. BLISS (see video presentation) – started by Saba Gul (@sabagl), BLISS aims to empower young girls in Pakistan through entrepreneurship training. BLISS teaches the girls the requisite skills during daily classes and then provides them with the opportunity to use their abilities to earn a sustainable source of income for themselves and their families. The company sells Bliss handbags and according to Saba, “sales are through the roof.” I love the idea of empowering young girls through entrepreneurship! One Degree Solar (see video presentation) – started by Gaurav Machanda, One Degree Solar aims to get families off the streets and into their homes by equipping them with low-cost solar powered lighting. The company is selling the bulk of its solar lighting in Liberia right now, but is progressively expanding throughout other parts of Africa. I’m bullish on solar and think this is a great way to use it to fulfill a massive social need. For the 2011 program, over 1,200 entrepreneurs from over 70 countries applied. Of that group, only 301 made it through the written process, of which 50 were eventually selected for interviews. The remaining 50 participants were required to raise $10,000, the cost of the Unreasonable program, through an online marketplace – the first twenty-five to raise that money were selected for the program. As for financing their ventures, the majority of entrepreneurs in the 2010 Unreasonable Institute successfully raised capital within three months of program completion. Judging by the caliber of entrepreneurs pitching at this year’s competition, the rate of successfully financed ventures will likely increase.